This was probably one of my favourite shoots so far. 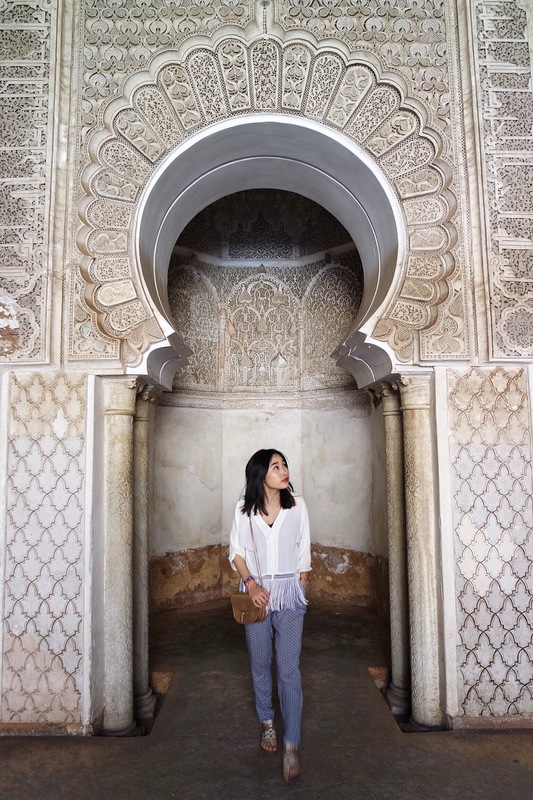 Mainly because of this great location called Ben Youssef Medrasa in Marrakech, Morocco which was just a few minutes within walking distance from our Riad. We passed this spot every day, a couple of times. 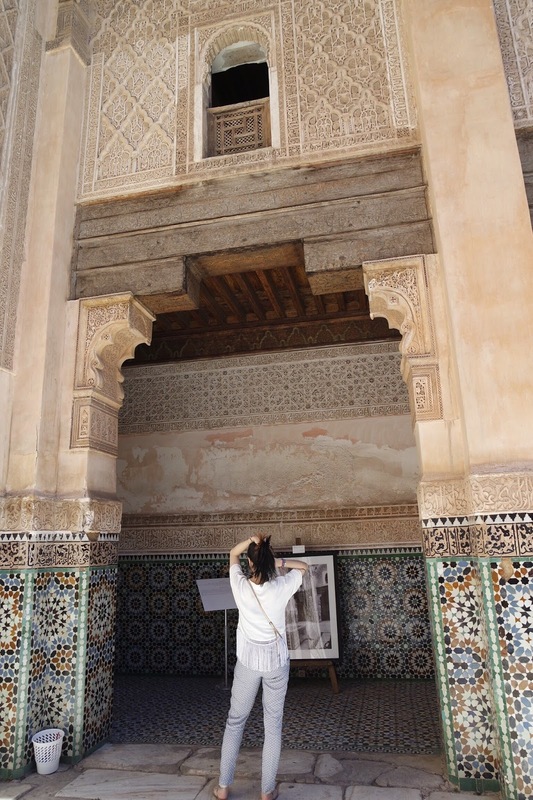 One of the most remarkable things that you will find in Marrakech are pretty tiles and detailed ornaments everywhere, showcasing Morocco's great craftsmanship. 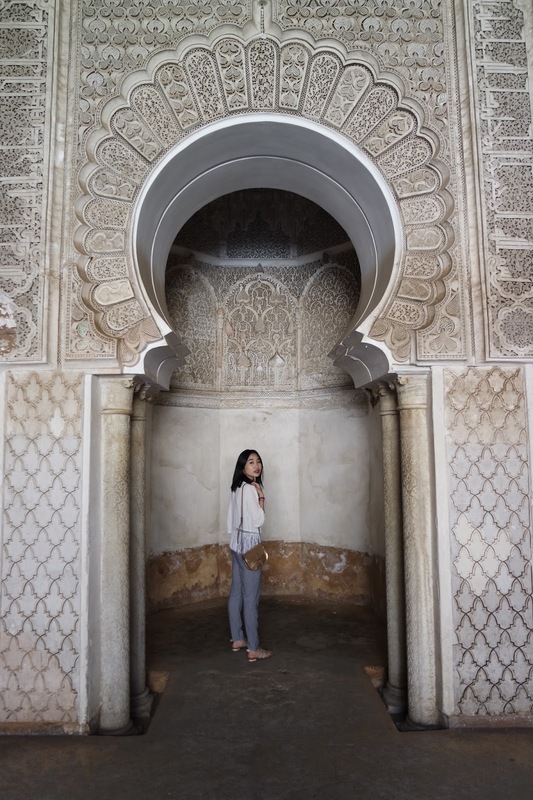 We visited Ben Youssef Medrasa which used to be an Islamic school before it became a historic site, and is now considered the biggest Medrasa in Morocco. I spent 20 minutes in the entrance gazing at the pretty tiles and taking pictures before I discovered the rest of the beautiful architecture of Ben Youssef Medrasa. There are so many details everywhere, and numerous amounts of little rooms that you can explore. Whenever I travel, I usually plan my outfits ahead in order to avoid overpacking. However, I always end up wearing a slightly different outfit due to the actual weather situation and after getting inspiration on site. Therefore, I recommend to always pack pieces that are easy to mix and match such as colourful bottom pieces and basic tops. 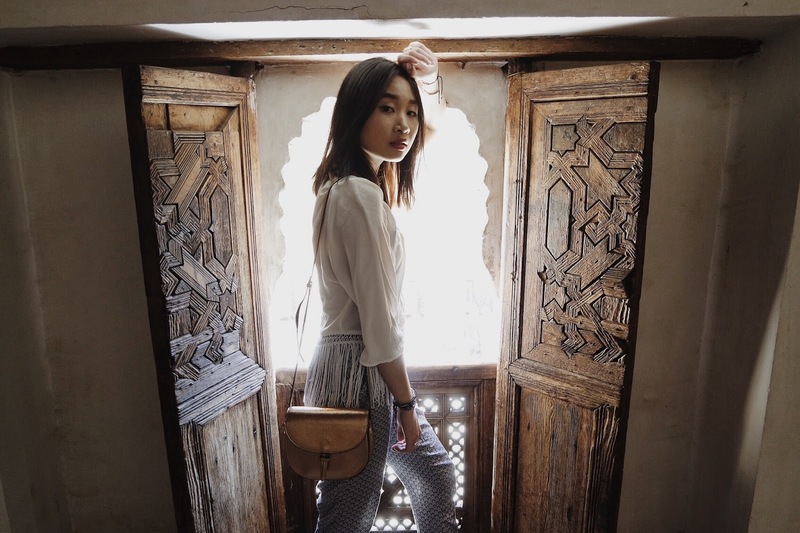 I bought these pants (similar here and here) in Tokyo but only got to wear them for the first time when I travelled to Vietnam and never again, so Morocco was a perfect fit. It was sunny and warm during the day but got pretty chilly at night. Last time, I paired these patterned pants with a simple white t-shirt but decided to add a bit more twist to it with this fringe top from H&M - perfect for that twirling photo moment! Similar version here from Pull&Bear. When in doubt, make sure to accessorize. I always wear colourful bracelets, and coming to Morocco, I added a few new pieces to my armcandy. Pictures taken by my Mai.